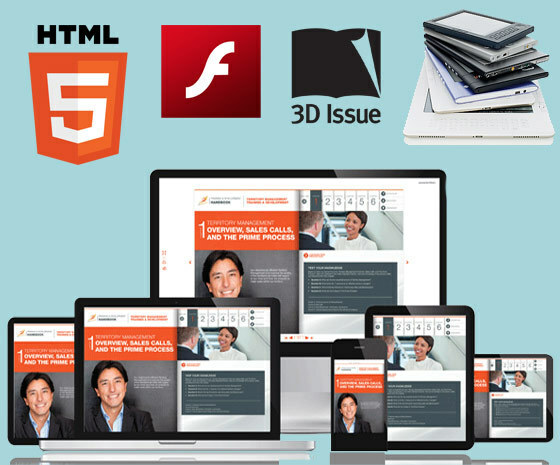 Flash has historically been the standard format for digital magazines. Most digital magazines were originally created in this format. However, its use is in decline due to several security concerns. In fact, many are the browsers that have already started disabling Flash content in favor of HTML5. Publish your digital editions to an App, add all your existing online content sources also. Your auto-updating app can truly be a revolutionary publishing platform. No coding required! Publish your online content to a Hub for ease of dispersal to a wide audience. Your Hub can consist of your social activity, flipbooks, articles, RSS feeds, blogs, video and much more. The Hub can be displayed as a news wall or newsletter style layout. Along with your online flash and HTML5 digital edition, digital publishing software solutions often enable publishers to create offline editions, these formats are .exe (for Windows) and .app (for Macs – not to be confused with Native App!) Offline editions are a great addition to your publication, allowing desktop readers to download the offline edition to their computer so they can access a fully functional digital edition at a later time – without the need to be online. The epub file is a format that can be downloaded to eReader devices such as the Sony eReader and the The Barnes & Noble Nook. These types of publications are typically not as interactive as the magazine type flash and HTML5 formats, but can be viewed offline. The ePub format is also the file format used by many Apps including the iBooks App on the iPad and iPhone. Therefore many publishers and marketers and creating both interactive online HTML5 versions, along with a downloadable version using the ePub output. The .mobi file is similar to the ePub, however this file is the format used by the popular Amazon Kindle. With a quick call or email and we can advise on the right e-publishing format for you. Telephone us on US: +718-569-6212 UK: +44 2080 999 739 IRE: +353 7491 16055. If you prefer you can email us at info@3dissue.com.